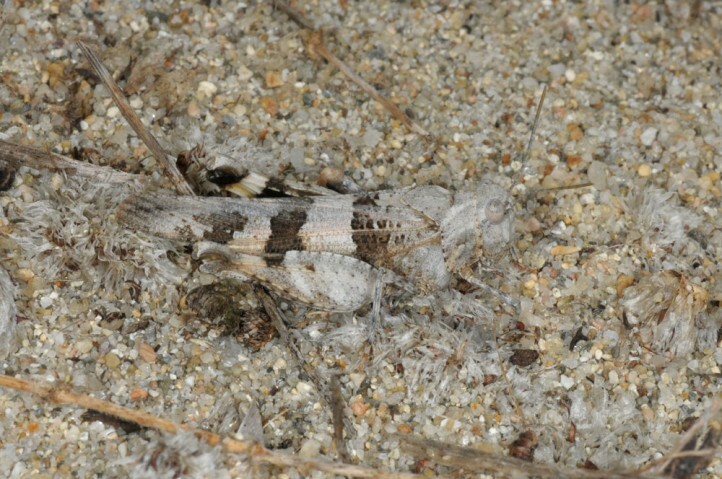 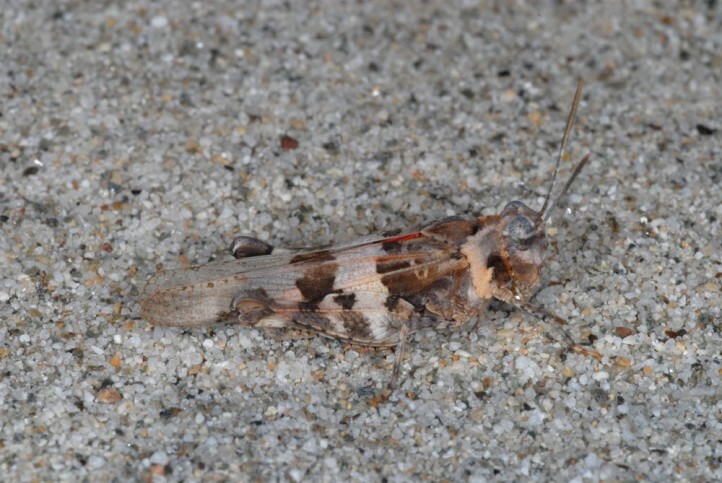 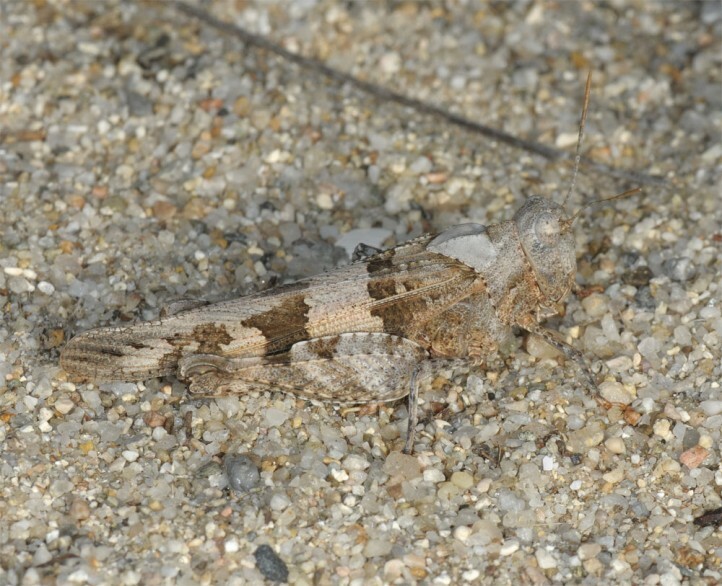 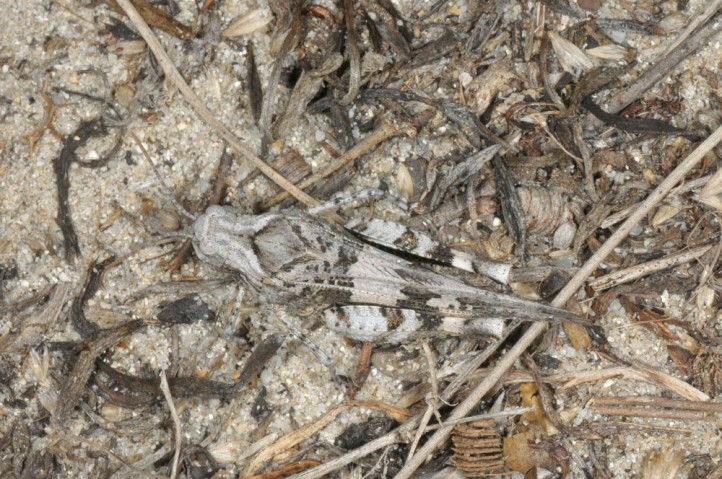 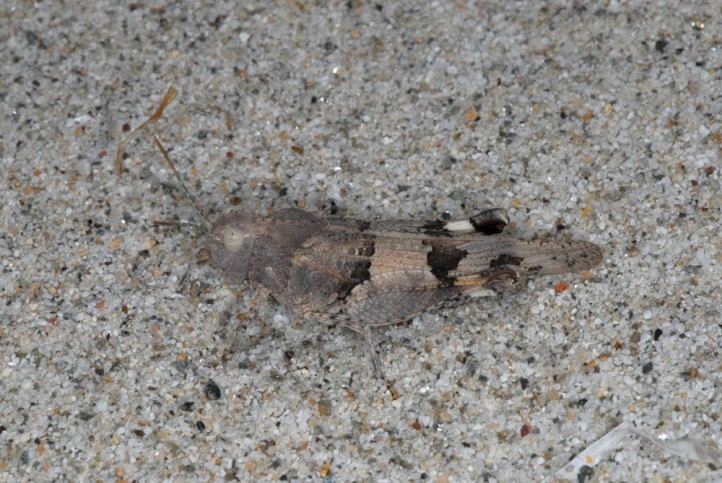 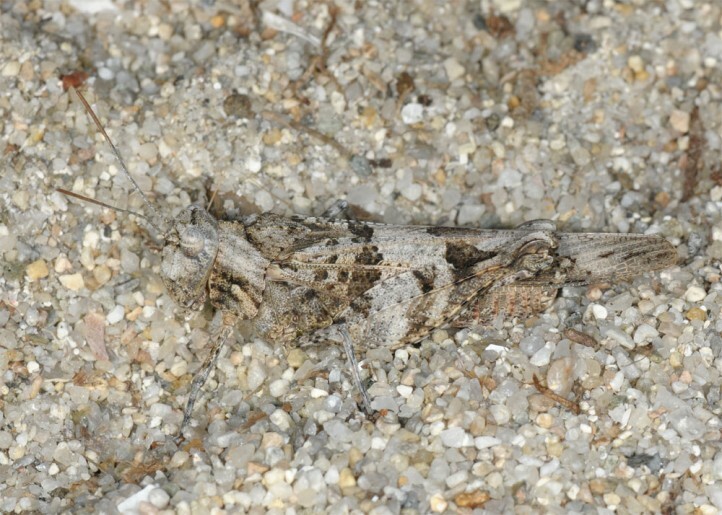 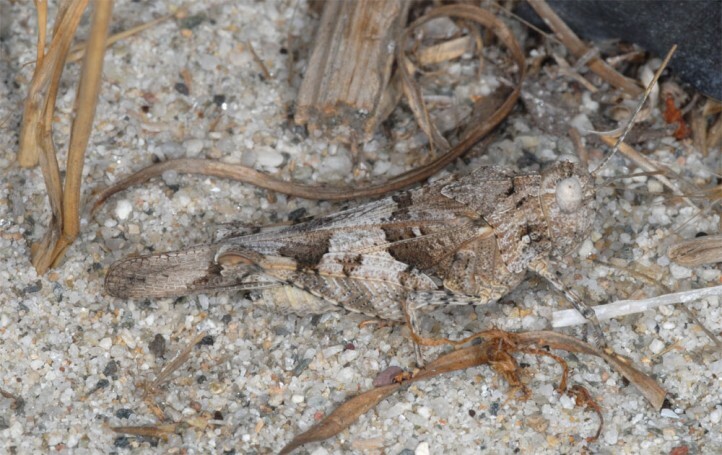 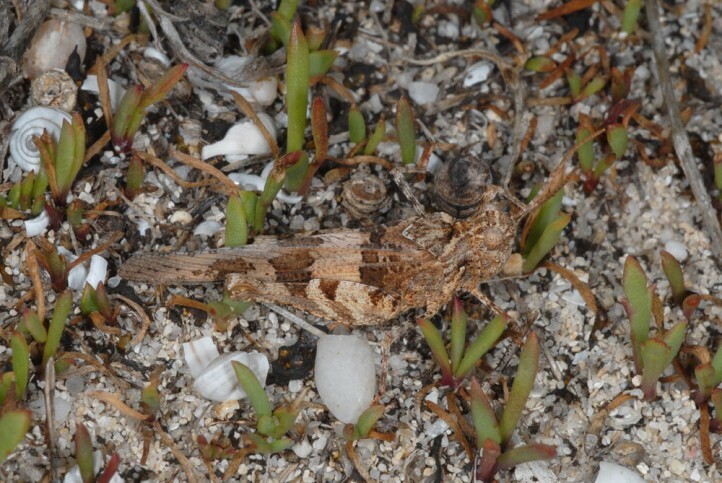 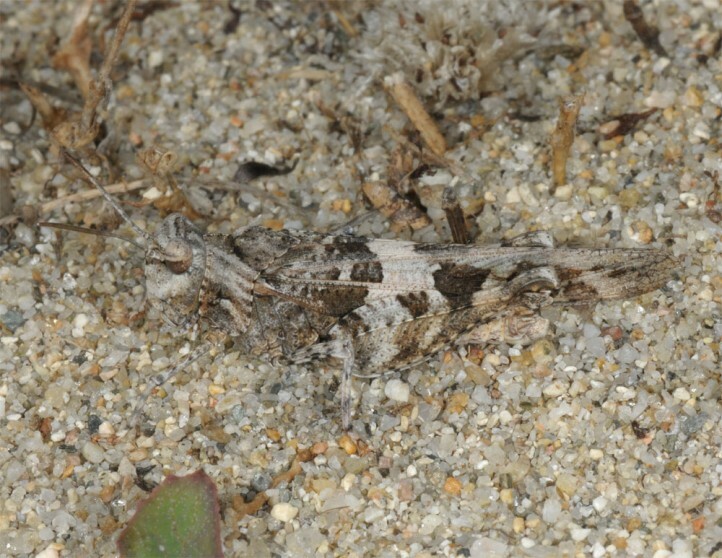 Oedipoda miniata inhabits especially coastal dunes, but occurs also in stony habitats, especially in dry river beds. 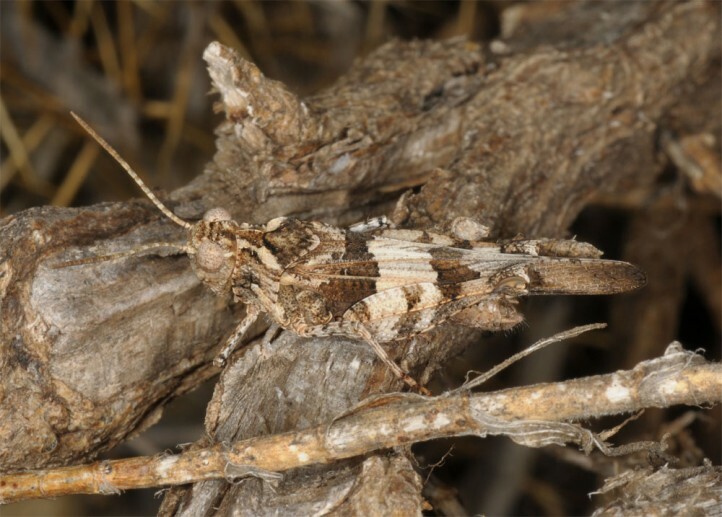 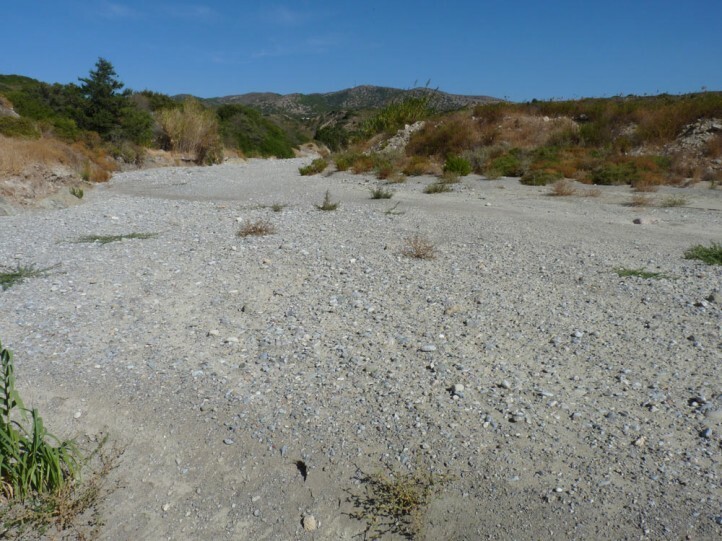 I observed adults in Sardinia already in May 2012 and in Greece in early July 2013. 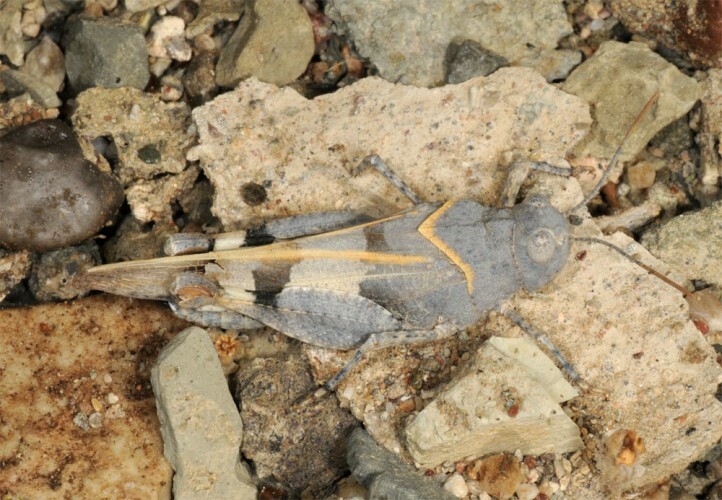 They should occur from early summer to autumn. 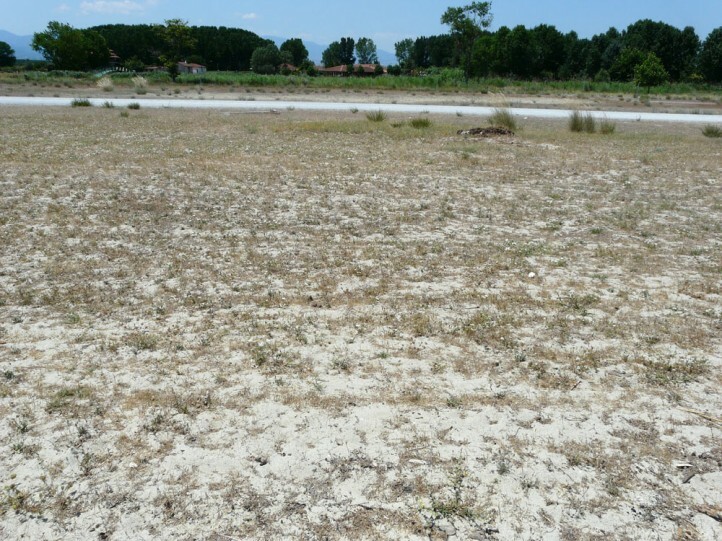 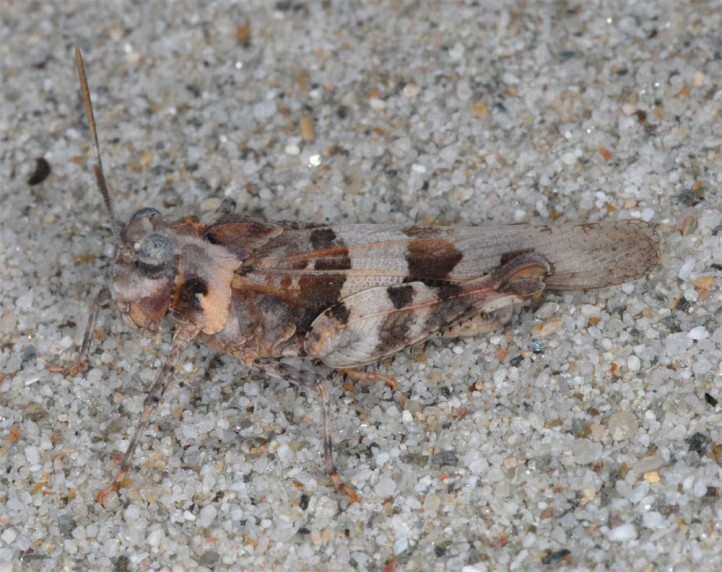 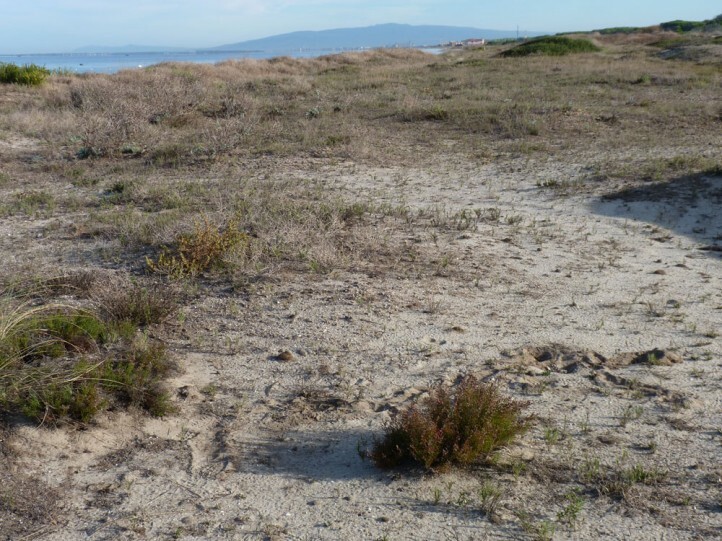 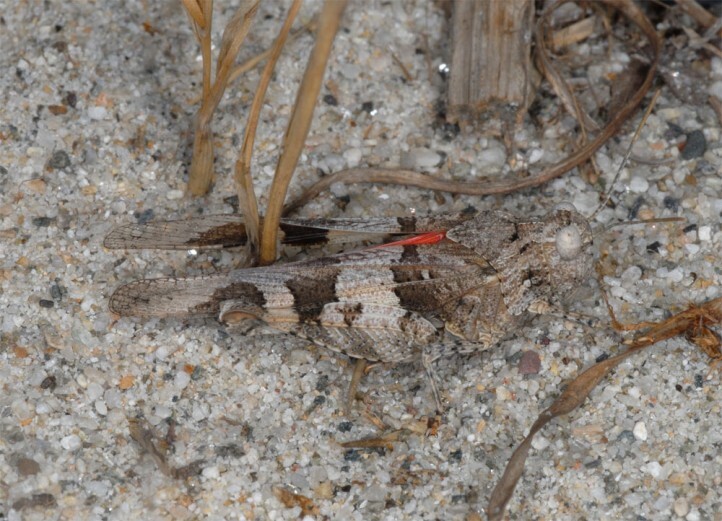 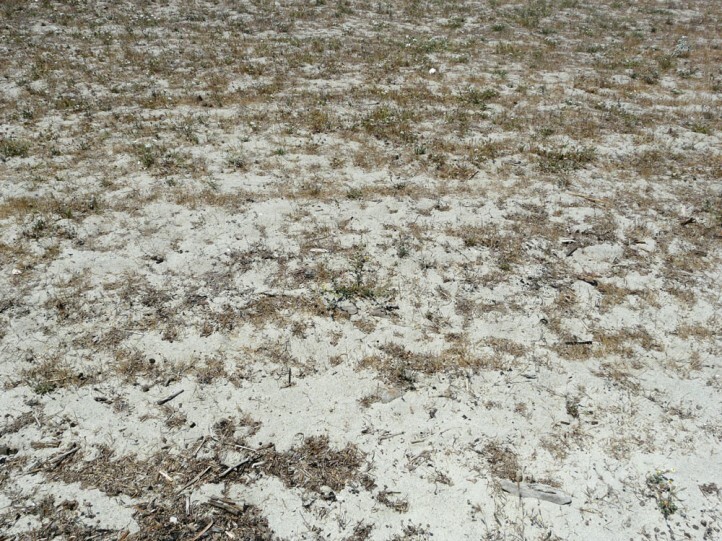 As coastal dunes are extremely endangered by excessive urban sprawl and tourism Oedipoda miniata is also threatened. 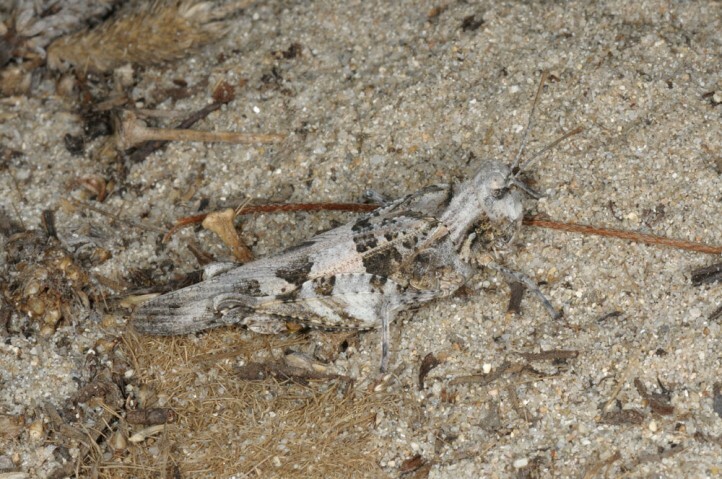 But it seems to cope with only extensive bathing on broad beaches. 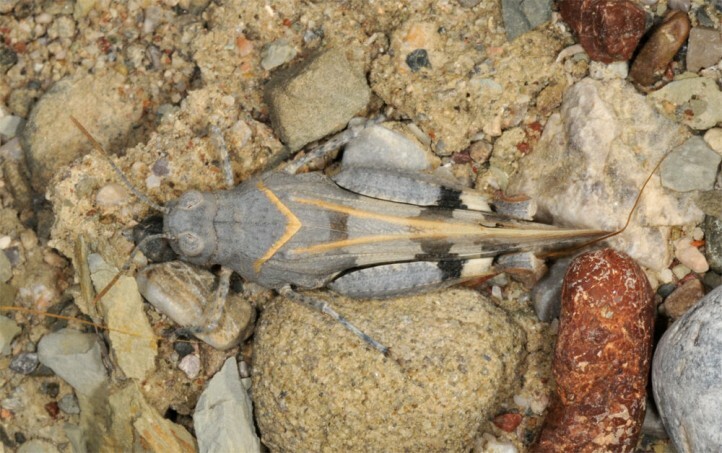 Oedipoda miniata occurs very locally in the S-Mediterranean, e.g. 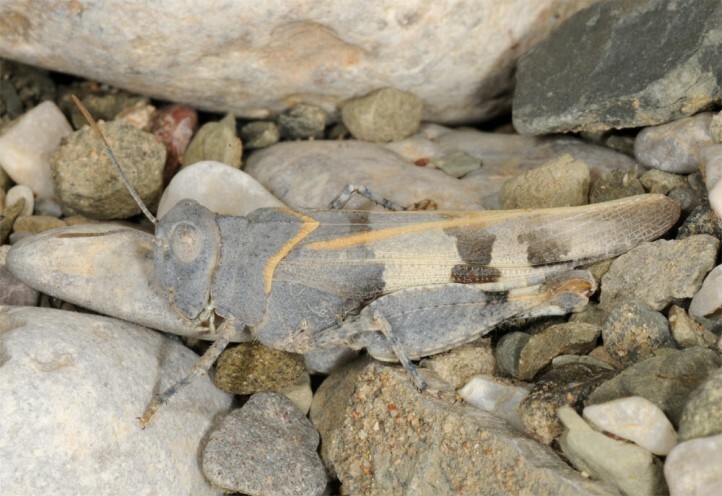 in the east (Greece, Turkey), but also e.g. 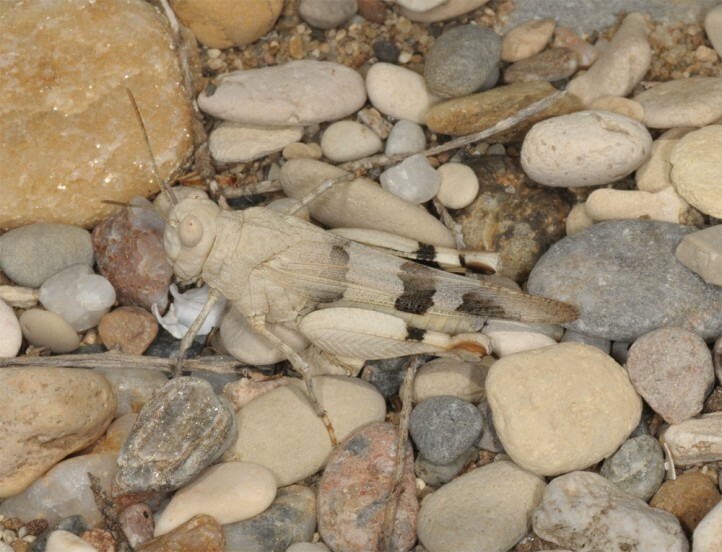 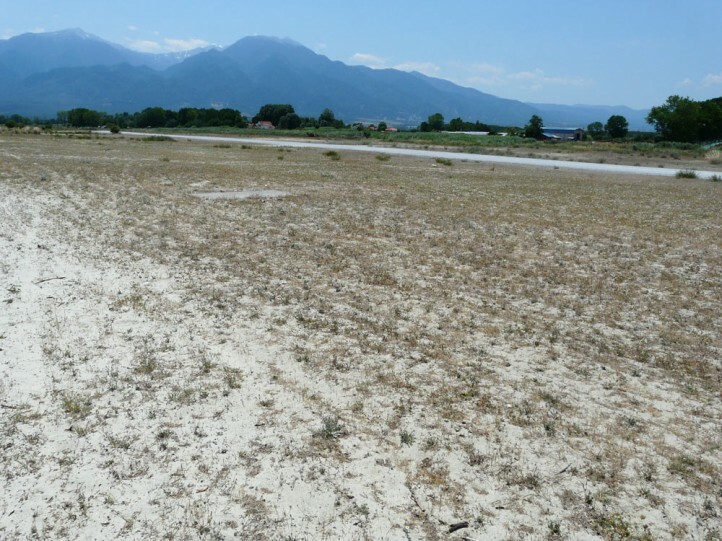 in Sardinia and N-Africa, and from there across Central Asia to Western China. 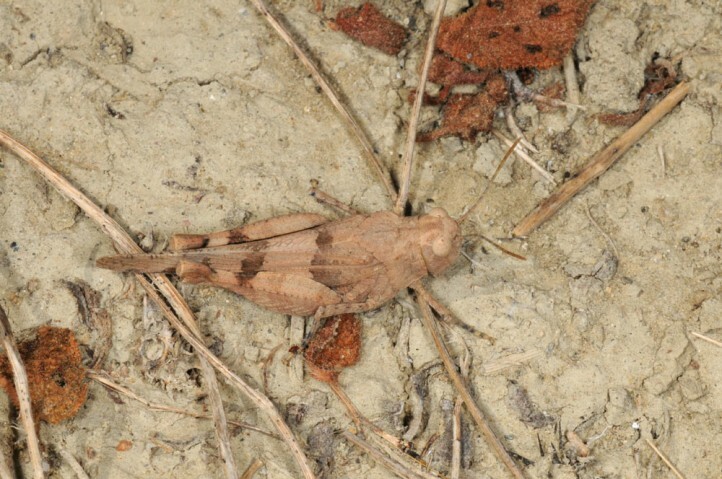 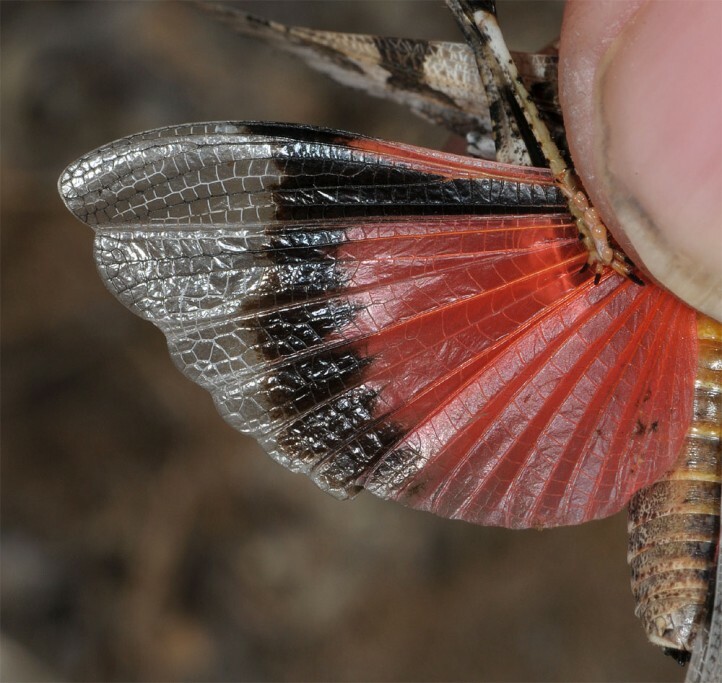 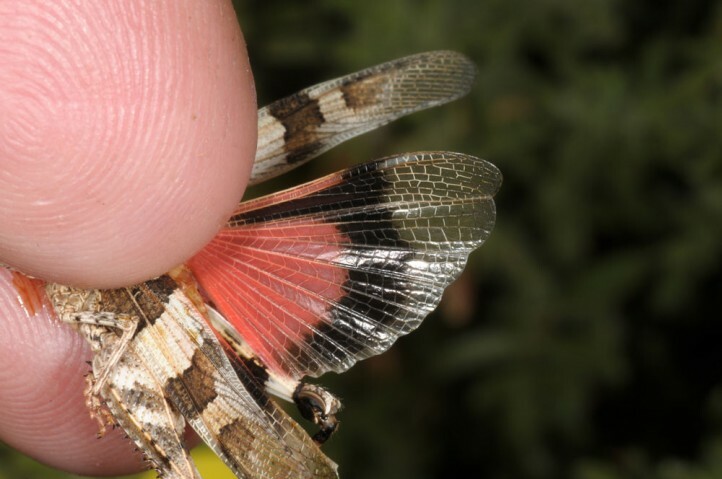 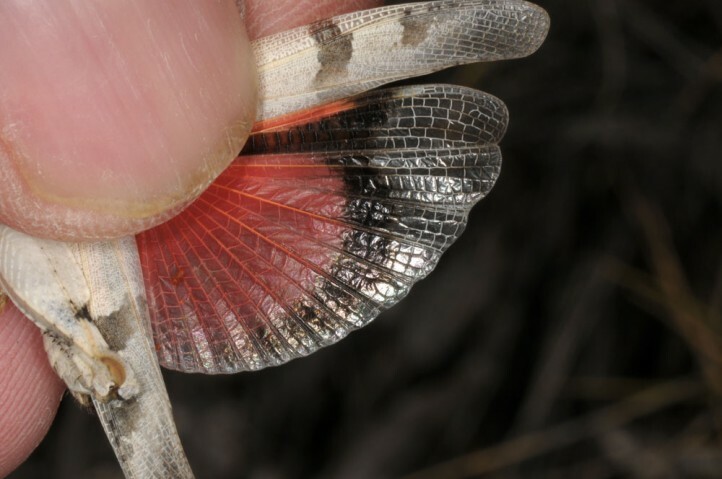 Oedipoda miniata has red hind wings.